Unlimited downloads and no waiting time instant downloads. Buy Uploadgig 30 Days Premium Account with a Cheap price of Just $10 for 1 Month Premium, You can thus save $3. Best Premium Reseller !!! 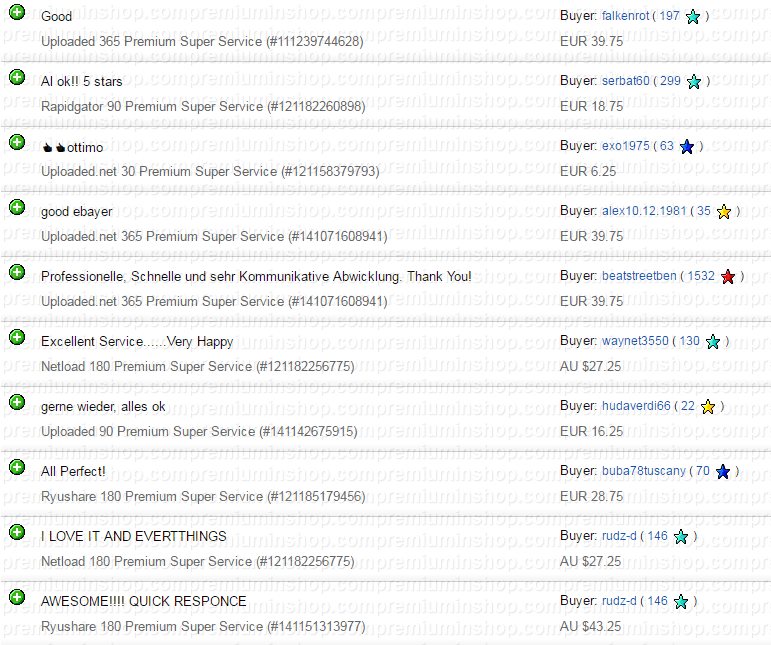 Additional Note : We are trusted ebay seller team with 10000+ Positive Feedback , Buy with confidence. Money Back : We will provide you 30 Days Money Back Guarantee, If you are not satisfied with our service.